Whether it’s an air conditioning unit, an out-of-place socket, a water tank, or a breaker box, there is always an eyesore that’s messing up the entire look of your home. But you don’t have to settle having these around. If you can’t get rid of the imperfections, the best you can do is cover them up. 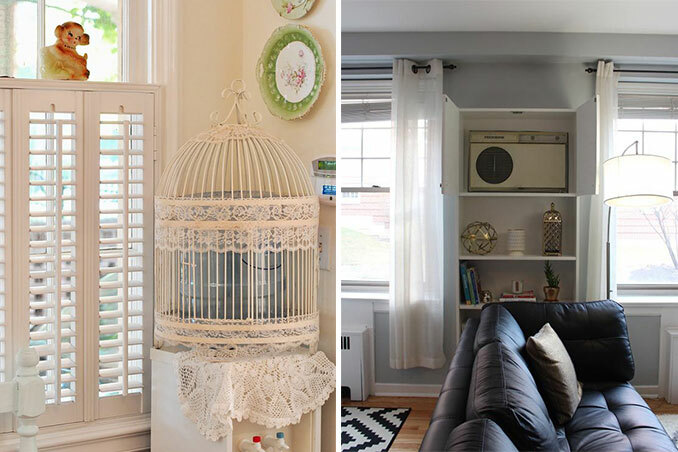 Here are just some ideas to conceal the most common eyesores in every home. Main photos from sweeteyecandycreations.typepad.com and designsponge.com.